There are a few characters that take such deep root in the public consciousness that they become part of the background fictional landscape. These characters are so important than those who have never read or saw their adventurers feel familiar with them as a concept. 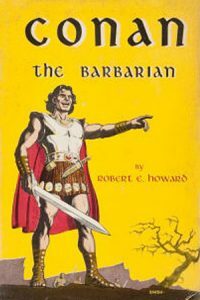 One of these characters is Robert E. Howard’s Conan, a character who has become the byword for barbarian hero throughout the English-speaking world. Conan started as a character in pulp magazines, but he has become much more. He’s appeared in novels, comic books, and newspaper strips. There have been successful Conan films, video games, and board games. Conan is part of popular culture – and understanding his origins can help fans of fantasy understand how he transitioned from pulp hero into the icon that he is today. Conan’s birth is a great deal like the character himself. It is at once fantastical and at the same time fairly mercenary. Conan’s genesis really did come from the mind of a giant in the genre, but his creation was also one that came from a real need to make money. Robert E. Howard had written fantasy stories before Conan, but it was Conan who would become his greatest character. Conan’s creation came about because Howard needed a new character to sell to pulp fiction magazines. He had already made one character, Kull of Atlantis, and it didn’t take much to rework one of his stories to be about a different protagonist. This protagonist would be something special, even if Howard didn’t realize it at the time. When vacationing near the Mexican border, Howard wrote a poem entitled Cimmeria. 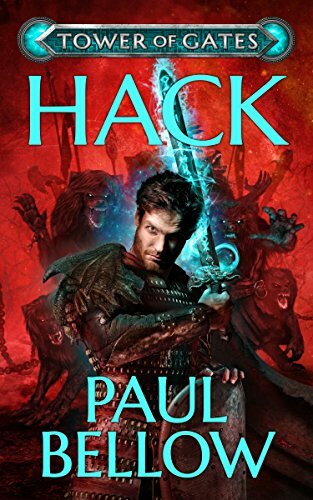 This was his first real peak into the deeper world behind the character, one that would coalesce into the world of Conan and the Hyborian Age. It’s also important to note that Conan was largely based on what Howard was – and wished he was. Conan was largely wish fulfillment in certain ways, though the character’s great melancholies were certain taken from Howard’s own life. Conan’s birth was taken partially from the fantastic, partially from the real – fitting for the character. The Conan stories take place in a time before recorded history, during the fictional Hyborian Age. This is not a golden age of humanity, though – this is already a fallen world, one that exists between the fall of Atlantis and the advent of current written history. It is a world meant for sword and sorcery, one that is in constant danger of falling to pieces. The world is noticeably one that will one day become ours, even if its unfamiliar. The vast majority of this world can map to the real world if the reader is willing to dig a bit. Characters hail from places like Cimmeria and Archeron, places that would one day become real locations like Ireland and Rome. The world of Hyboria is one that takes place between cataclysms, one that will soon become the world that readers inhabit. It’s a clever way of putting together a landscape that is both familiar and alien and that allows the reader a certain level of comfort with the surroundings despite them being entirely fictional. 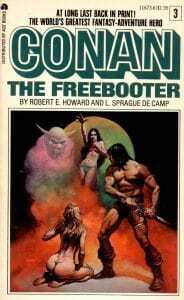 The Hyborian Age was home to more stories than just those of Conan. 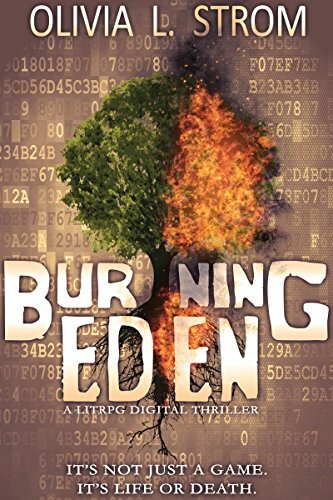 It was a rich setting that allowed readers a chance to inhabit a world both old and new. Who was Conan? While the stories cast him in many roles, his general personality seemed to stay the same. According to Howard, he was a man of gigantic melancholies and gigantic mirth. He was introspective, intelligent in a way one would not expect from a barbarian, and fearsome in a way that one would expect from his reputation. Conan was described as dark haired, blue-eyed, and sullen. He was usually described as massive and muscular, the opposite of his oft-sickly creator. Conan could move quickly, perform feats of great strength, and always had what it took to complete the adventure at hand. He was a thief, a warrior, a pirate, a soldier, and eventually even a king. One thing that tends to be lost in the move towards other media is Conan’s wit. He is often funny, ironic, and quick with a barb or jab. He’s much more than just dumb muscle – it’s easy to see how the character would progress from being the son of a blacksmith to one of the most legendary warriors of his age. Conan combined all of the qualities one would hope for in a great hero, held back perhaps only by his frequent inability to stay content with the life he built for himself. While Conan’s world might have been fleshed out in magazines, subsequent generations know him best from the novels. A distressingly small amount of the Conan material actually came from Howard – most of what can be found in novel form are just collections of the magazine stories. There are several Howard works that weren’t published in his lifetime, though, and many of these can be found in the novel collections. Howard helped to set up the foundation for what would become one of the longest-running characters in written fiction. After Howard’s death, the Conan franchise took on new life under the pens of a number of different authors. Between 1982 and 2003, over forty Conan novels were published. Most of these books treated the Howard stories with a certain reverence, adhering to the canon that he had created. These books were written by a number of authors who would become luminaries in the science-fiction and fantasy fields, and they’re absolutely worth a read. 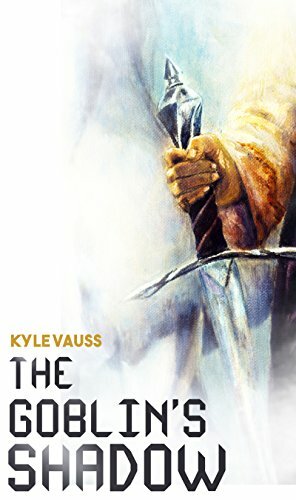 The Conan books have helped to nail down the characterization of Conan and give more substance to the chronology of the world. They are certainly easier to find than most of the magazine stories and make a great entry point for new fans of the character. The world of Conan is richly detailed and full of adventures that happen just off the periphery of the story. It should come as no surprise, then, that the world of Conan has been repeatedly mined for material to make new games. Even when Conan’s name hasn’t been on the box, the barbarian hero’s influence hasn’t been far removed from some of the best-loved games of all time. If you look at the background of the gaming world, you can see Conan’s influence almost everywhere. Every barbarian hero in the gaming world owes something to Conan or one of his compatriots. Even the concept of the RPG party owes a bit to Conan, both in the form of the films and the original stories. In fact, one can see the influence of the hero on the very concept of the role playing game and on many of the video games that have spun out of that genre. Oddly, Conan’s games have never been terribly successful. Even the best of them have only managed to become moderately popular. It seems that no one has figured out a way to take the actual world of Conan and make it as wildly successful as one might image. With that said, though, there seems to be no shortage of people who are willing to try to give Conan the popularity he deserves. There have been a fair number of games with Conan in the role of protagonist, though relatively few of them have been major hits. The first game was 1984’s Conan: Hall of Volta, a fairly basic side-view combat game that was released to coincide with the second film in the franchise. Similar games like Conan: The Mysteries of Time and Conan the Cimmerian would be released in 1991. The Conan franchise went dormant in the video game space until 2004, when an eponymous title was released for several platforms. This game would be followed by another title called Conan in 2007, but neither title was particularly successful. Notably, though, both titles were based on the stories rather than on the films. In 2008, Funcom released an MMORPG entitled Age of Conan. The game was based on the stories and attempted to appeal to a more adult audience than most RPGs of the time. The game had middling success upon release, but continued on thanks to a switch to a relatively friendly free-to-play model. 2017 saw the release of Conan Exiles, a survival-based game that takes place in the world of the Conan stories. The game is not planned for full release until 2018, but early players have had positive things to say about the game. Conan the Barbarian has been hugely influential in the world of role playing games. 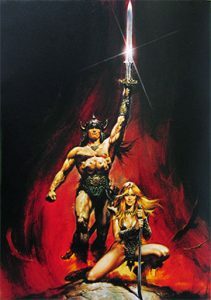 The concept of the barbarian hero can be almost entirely attributed to Conan, and anything influenced by sword and sorcery epics bears the mark of the Cimmerian. 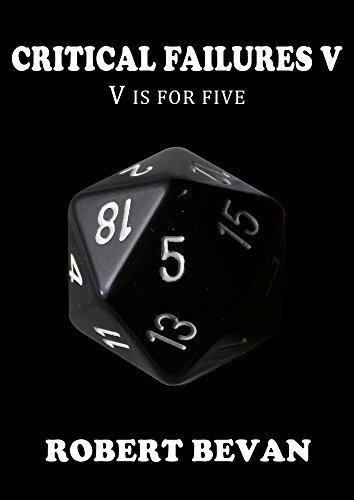 Bits of Dungeons and Dragons, for example, would not exist without the character. It shouldn’t be surprising, then, that there have been a fair number of RPGs that have tried to more closely incorporate Conan. Dungeons and Dragons first took on Conan in 1984, with a pair of modules that featured the character. 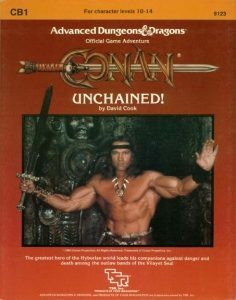 TSR was happy enough with the success of those modules to spin off the Conan Role Playing Game, which featured three modules of its own. While never as popular as D&D, it did have a solid fan base. In 1988, Steve Jackson Games got the Conan license, and moved to start publishing games. Most of its games were single-player adventures, but there was a GURPS Conan core rule book published. These games were only published for around a year. Next to get the license would be Mongoose Publishing, which would publish Conan: The Roleplaying Game from 2004-2010. Modiphius Entertainment would pick up the license and publish Conan: Adventurers in an Age Undreamed Of in 2016. Conan’s visage has even graced a few different board games. While none of which have been stand-outs, they do prove just how versatile the Conan license can be. The games have ranged from the fairly standard to the complex, with room in-between for gamers of all skill levels. On the traditional board game front, Conan has been seen in two separate adventures. 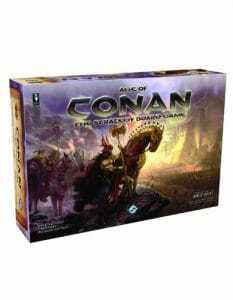 Fantasy Flight Games published Conan: The Strategy Board Game in 2009. This was a fairly straightforward strategy game, one that neither set the world of board games aflame nor flopped. It can be found with a bit of effort even today, though it does not have much of a community behind it. Conan also spawned a collectible card game called Hyborian Gates. The game is similar to Magic, Yu-Gi-Oh and other similar games, though it’s rarely played outside of convention appearances. The game seems to be more of an attempt to cash in on the collectible card game market than any attempt to capture the world of Conan. Finally, there is also a miniatures game called Conan: Hyborean Quests. The set-up of the game is fairly unique, tasking one player to control all of the evil minions and the remainder of the players to play as Conan and his companions. Conan has had a relatively lengthy relationship with the comic book industry. Stories starring Conan or Conan-related characters have been running almost continuously since 1970, in both traditional comics and in newspaper strips. Marvel Comics secured the publishing rights to the Conan stories in 1970, and continued publishing Conan stories through the turn of the millennium. This version of Conan was remarkably faithful to the lore established by Howard and others, and tended to have adventurers inspired by (or lifted from) the actual Conan stories. Conan’s initial adventures were in Conan the Barbarian and the more adult-oriented Savage Sword of Conan. The character would end up as an important part of the Marvel Universe’ back story, though he’s largely been removed by this point. Dark Horse picked up the rights to Conan in 2003 and set about creating a new Conan comics universe, one based solely on the works of Howard. This version was both a bit more adult and a bit closer in tone to the original Conan stories, though it did slowly start to create a unique world of its own. Conan and related stories continue to be incredibly popular in comic form, largely because of Dark Horse’s work in publishing the old material in new formats. Conan is perhaps best known to the general public because of the movies starring the character. 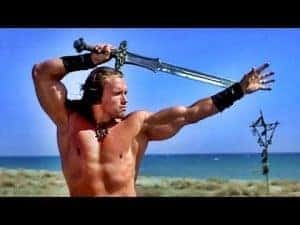 The first Conan film, Conan the Barbarian, is arguably responsible for launching both the career of Arnold Schwarzenegger and revitalizing the sword-and-sorcery film genre in the United States. The film hewed remarkably closely to the ideas of the Conan stories, if not the actual stories. 1982’s Conan the Barbarian was followed shortly thereafter by 1984’s Conan the Destroyer, which had a markedly less successful run in theaters. The film eschewed anything close to faithfulness to Howard’s work in order to create something that was a bit more typical for the genre. It was more notable for its host of celebrities in minor roles than for any relation to the Conan stories. 2011 saw the release of a second film entitled Conan the Barbarian, leaving behind the comedy elements of the second film and attempting to hew even closer to Howard’s work than the first. The film was roundly savaged by critics and fans alike, but did succeed in capturing the spirit of Conan. It simply didn’t have the ability to displace the first film in the minds of the audience and it relied too heavily on 3D effects to stand the test of time. So, what is the future of Conan? To some degree, one can say that Conan’s going to continue on the same path that he is on now. The character never really goes away, nor does his universe. There will undoubtedly continue to be new Conan stories published, old material reprinted, and a fair number of anthologies created that take place in his world. The games that currently bear his name will continue to run and there’s a good chance that one will eventually be successful. All told, Conan’s not in a bad place right now. What do we know for certain? We know that a new Conan film is in the works, though it’s been in that state since around 2011. We know that there are a number of projects on Kickstarter that are at least tangentially related to Conan, some of which are starting to bear fruit even as this article is being written. Conan is also continuing to have adventures published by Dark Horse, as an important part of that publisher’s line. Things are looking good for Conan’s future. If things stay this way, it’s likely that new Conan products will be launched for years to come. Conan the Barbarian has become so much than what he once was. While it’s been quite some time since he’s been in a successful film, the character created an archetype that is seen in movies every year. While there’s never been a successful Conan role playing game, it’s Conan’s stories that created the backbone on which the industry has been built. Even his stories, which were once nothing more than simple pulp adventures, have gone on to help define an entire genre. Conan is one of the true legends of the fantasy genre, one that will seems to become stronger with time. Do you agree or disagree with this article? Want to talk about the travesty of the 2011 remake or the fact Arnold isn’t make a third in his series? Come to the LitRPG Forum and join the community. We’re building a special kingdom online, and we’d like you to be part of it.